Lady has been waiting over a year for a home. At the 2017 Garden State Cat Show, Lady won an award for her story. 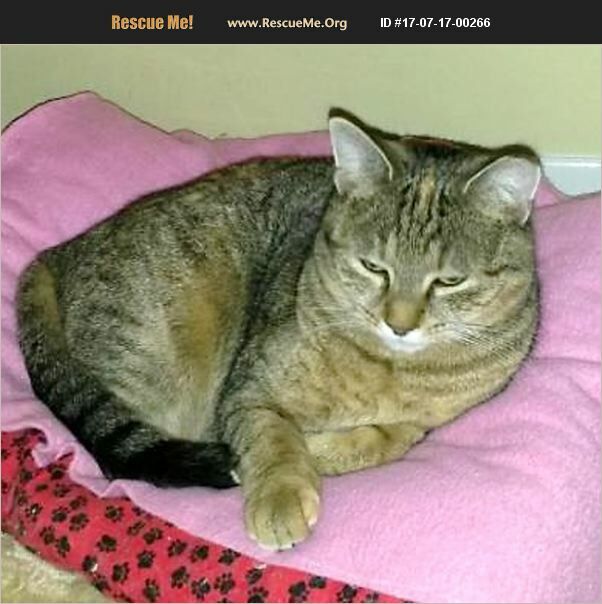 Lady is a sweet, beautifully marked torbie who was rescued from outdoors. She was a young cat who was trying to save sick, abandoned kittens that were not hers. If Lady did not care for these kittens, they would have died. No one claimed Lady so, she was put into foster care. She enjoys her cushy beds and loves life as an indoor pampered girl. She is friendly to other cats but has not met dogs. Lady demands your attention, but she is sensitive and gets overwhelmed quickly so, she would not be comfortable with most kids. Do you have space for a cute little cat like Lady? She is perfect for someone looking for a cat to just hang out with. Please call Joan at 908-392-4238 and leave a message if interested in adopting Lady. You can also get an adoption application at www.capiccats.com and email it to us.